This year the SCJ Philippine Region was entrusted with three new pastoral areas. Because of this several SCJs for the first time became parish priests. Although they were assigned in the parishes and have some pastoral experience many things for them are new. Being an assistant to the parish priest is like sitting in the front seat, but not being a driver. According to the Canon Law “The Parish Priest is the proper pastor of the parish entrusted to him… exercising the pastoral care of the community entrusted under the authority of the diocesan Bishop, whose ministry of Christ he is called to share…” (Can. 519). The role of a Parish Priest is twofold: as an administrator and as a shepherd, who acts in the name of the local bishop and is accountable to. In many dioceses there are special orientation seminars for new parish priests, so they would be properly informed of their duties and responsibilities. One of them is the Diocese of Novaliches, where the SCJs are entrusted with two parishes: San Lorenzo Ruiz Parish in Quezon City and St. Roque in Bagong Silang, Caloocan City. Following this good example, the SCJ Philippine Region, considering the needs of new parish priests, organized similar activity. Initially it was intended for those who are directly involved in the parish ministry, but finally it was open for all the members of the region. The seminar was held on October 18 – 19, 2016 at the Dehon House in Manila. On the first day, Fr. Rei Flores, the Chancellor of the Diocese of Novaliches, presented the theme “Canonical and pastoral implications of the office of the Parish Priest.” On the second day, Msgr Antonio Labiao, the Vicar for Pastoral Affairs of the same diocese, shared his insights on the theme “Parish Church: Community of Communities” and financial management of the parish. On the first evening, the group was graced with the presence of Bishop of Novaliches, Most. Rev. Antonio R. Tobias, DD, who joined the Holy Mass and supper. San Lorenzo Ruiz Parish (SLRP) located in Gabriela Silang Street, Tierra Verde 1 Homes, Congressional Avenue Ext, Quezon City is the newest place of SCJ presence in the Philippines. It was entrusted to the SCJs by Bishop of Novaliches, Most Rev. Antonio R. Tobias, DD, on July 1, 2016. The parish is a walking distance from the SCJ Theologate (Dehon House) and has an important place in the history of the SCJ Philippine Region for being a venue of many sacerdotal and diaconal ordinations. On September 25, 2015, the parish community celebrated its 29th Feast of the Patron. It was also the date of official installation of the new pastoral team with Fr. 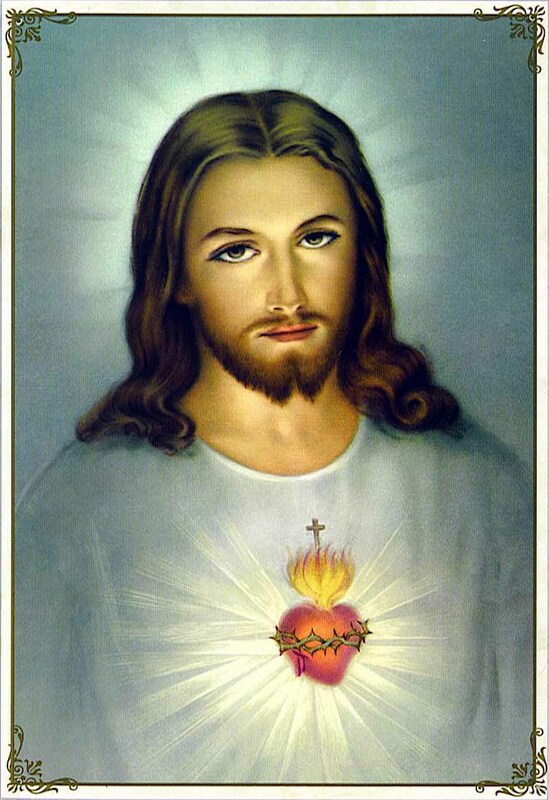 Aloisio Back, SCJ as a parish priest, Fr. Rechie Gier, SCJ as a parochial vicar and Fr. Candido Bayron Jr., SCJ as a pastoral aid. The ceremony of installation was held during the main Holy Mass at 10:30 in the morning and was attended by many parishioners, SCJs, religious and visitors. At the moment the SCJs run 6 parishes, 1 chaplaincy, 1 mission area and 3 formation houses located in Luzon, Visayas and Mindanao. November 30, 2012, Feast of St Andrew Apostol and Bonifacio Day in the Philippines, was a very special day for the SCJ Philippine Region. Four of our confreres: Patrick, Thai, Khoa and Loc received the Holy Order of Priesthood. Patrick is a Filipino while the three others come from Vietnam. The celebration was held at San Lorenzo Ruiz Parsh in Quezon City, a walking distance from the Dehon House where our scholastics live. The ordaining bishop was his Excellency Antonio Tobias, DD, the bishop of Novaliches, our old-time friend from Pagadian Diocese. The celebration was very nice and was attended by more less 500 people. Majority of them were Vietnamese, members of different religious congregations and friends of the new priests. On June 12, 2012, the Independence Day in the Philippines – one Filipino and 3 Vietnamese confreres (Patrick, Thai, Khoa and Loc) were ordained as Deacons. 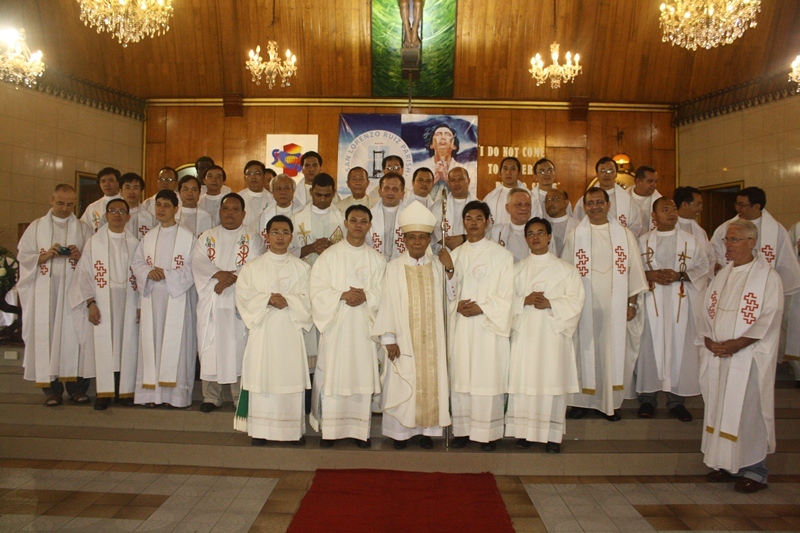 The ordination took place at the San Lorenzo Ruiz Parish in Quezon City, Diocese of Novaliches. The ordaining bishop Most Rev. Antonio Tobias, DD, long time friend of the SCJs in the Philippines, reminded the candidates about their role as servants recalling the words of Jesus ” The Son of Man did not come to be served, but to serve” (Mk 10:45). This was also the motto chosen by the newly ordained deacons. The ceremony was attended by SCJs from different communities, many Vietnamese priests, religious from different congregations, family members and friends of new deacons.